I spent a lot of time in 2017 travelling, and in particular spending time away on adventures with my girl friends! I loved not only spending time with them chatting and having fun, but spending a bit of time getting glammed up to go out, or some downtime with them relaxing. I have a few essentials I couldn’t travel without this year and I thought I would share them with you! First up – nails! Every girl needs a good manicure, right? On a couple of my trips this year I used Joe Fresh Gel-Look Nail Polish on my nails. Not only are new colours launched all the time, but I love the final look of my nails once they are freshly painted. In these shots I’m wearing Lover’s Kiss, and to be honest I’ve been wearing this colour for the last month since we returned from our latest trip! I love the cute little bottles these polishes are in, and one of my favourite shades to wear this year has been Cotton Candy (before I got my hands on this shade!). 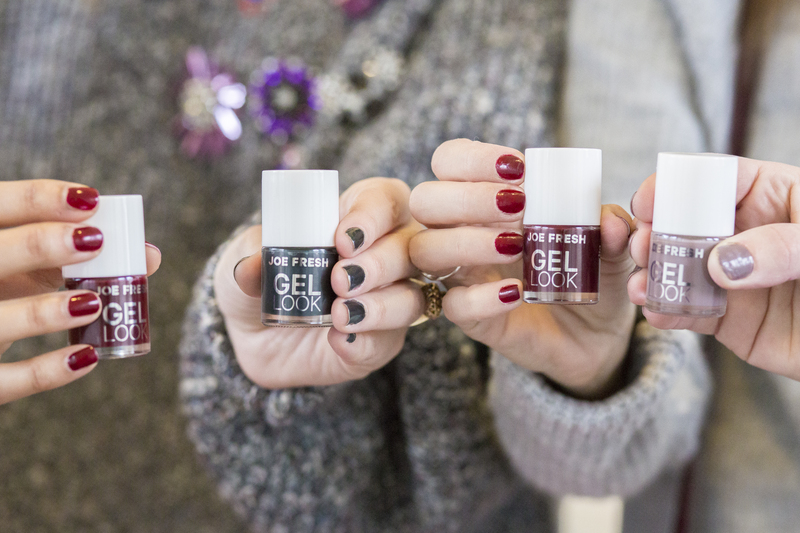 I love the Joe Fresh shade names as well – Soul Train, Sparkling Glitz and Mauve-ulous? So cute! Hair is all-important when heading away! Especially if the weather can be a little different from home. I always make sure I carry an arsenal of products just in case, and on my latest trip to the JW Marriott The Rousseau Muskoka I brought along got2b Glam Force High Hold Hairspray and Glam Force Sculpting Gel. We had a fancy dinner out at Teca one evening at the resort along with a photoshoot so there were a few times I needed some great hair! I used the got2b Glam Force High Hold Hairspray to take care of my flyaways and keep my hair looking styled when we were shooting outside! How cute is the packaging on these products as well? This hairspray has a 48 hour hold which is great for curling your hair one day, spraying to set, and sleeping on it for looser curls the next day. 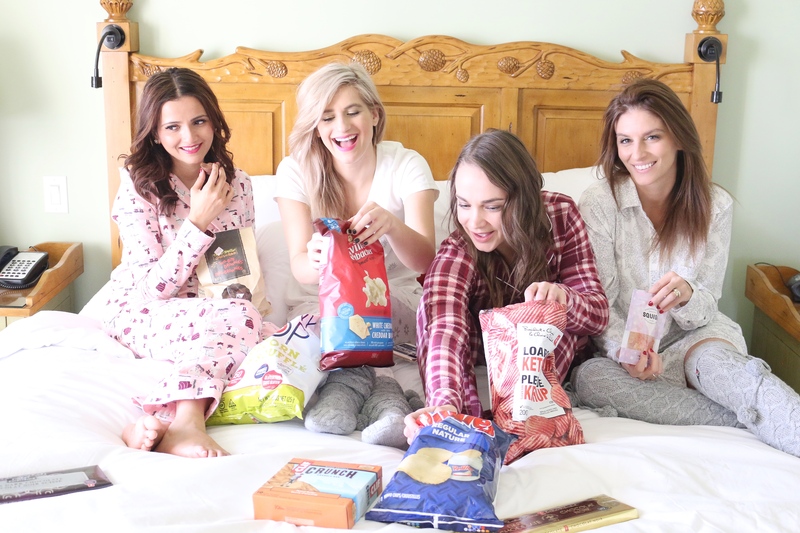 PJ’s are super important when you are spending a weekend away and you know you will want to stay up late snacking and watching movies with your friends! La Vie En Rose has the BEST selection of PJ’s that is forever changing to add more styles and looks. I LOVED the look of my sleep shirt, but once it arrived I couldn’t believe how soft it was! Paired with these cozy socks this look was so cute I wanted to wear this outfit in public! 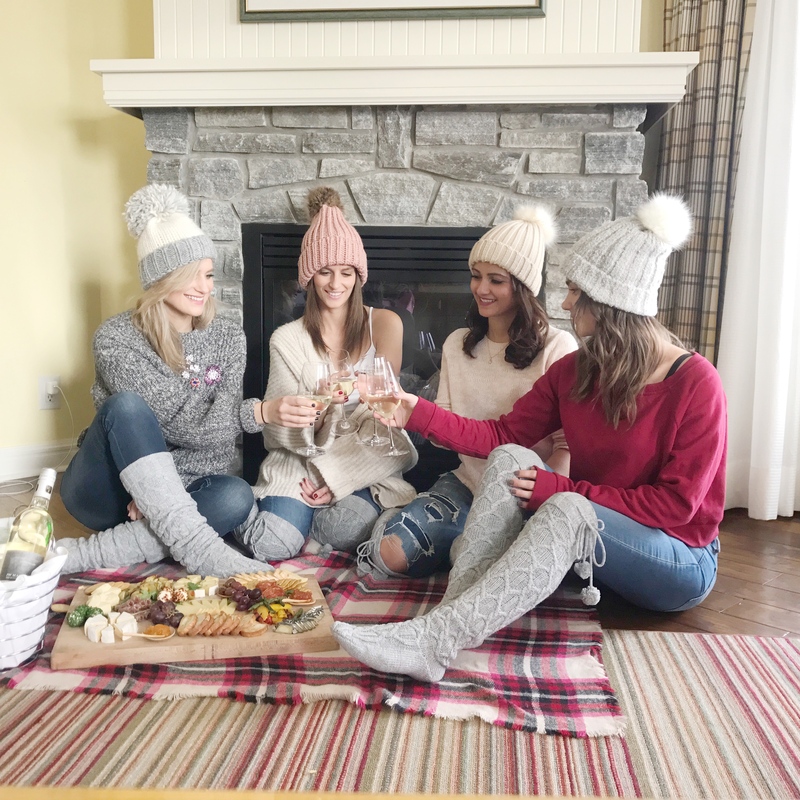 Everyone had the cutest PJ’s on this past weekend away – I would have worn any of them! When it comes to luggage, I have a few essential bags I love to carry with me. 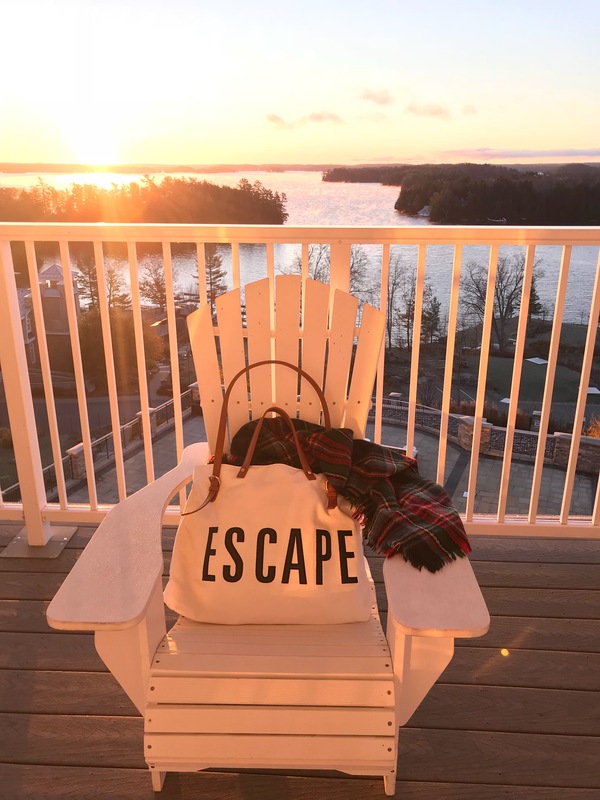 ON this trip (and most of my trips this year) I brought along this cute ESCAPE bag that I picked up at Forever 21, but you can see a similar one here. It’s a cute grab-and-go bag! 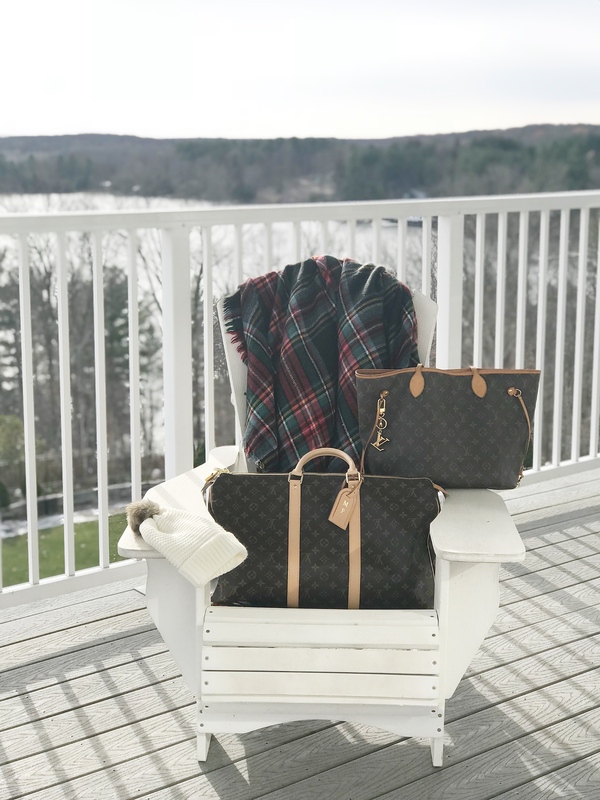 I love my matching set of the Louis Vuitton Neverfull and my Louis Vuitton Monogram Canvas Keepall Bag. This duffle bag surprising fits a lot of clothes and shoes inside! I love carrying the pair together on a trip – a matching set is just that more fun! What are your travel essentials? Is there anything you can’t travel without? Thanks to got2b, and Joe Fresh for teaming up with us on this post!